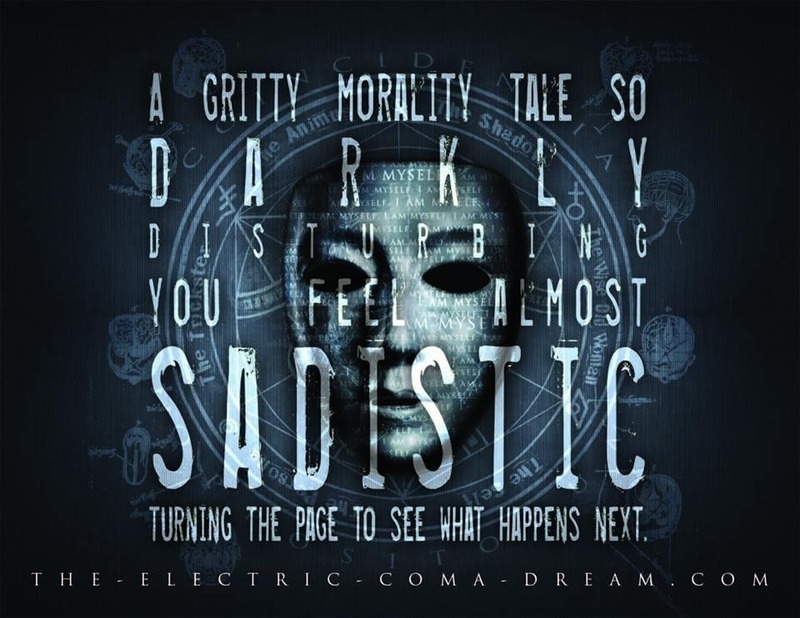 For the sake of saving the surprises of a very expansive and enlightening read, The Electric Coma Dream will be summarized by saying this: The story is about a woman, troubled since youth, who is forced to essentially go to war with herself in order to survive. Now, that itself is a very broad statement, but reviewing Matthew Gillies’ debut novel is something of a challenge. Stories this intricate are atypical, but they’re welcomed, with open arms. Matt’s got flare. There’s a very stylized vibe to the narrative that feels neither forced nor fabricated and that serves as a major aid in being lured into a dark and depressing world. Anastasia, the focal character of the tale, is almost an enigma. She has an abundance of conflicting character traits, but one by one, as the story progresses the reasoning behind her habits and inclinations are explained away. And those explanations work overtime, also producing memorable happenings in Anastasia’s life in addition to the answers they yield. It’s really quite engaging, exciting from page one to page 323. I’m fondest of the book’s earlier occurrences, as I think the outline of Anastasia’s darker days in high school is pitch perfect at highlighting the awkwardness of youth. And that brings me to the topic of coming of age tales, because as much as The Electric Coma Dream is not a coming of age tale, it most certainly is a coming of age tale. You won’t follow her through the complete duration of her youth, the story leaps around to most prominent sequences in her life, but Gillies paints such an amazing portrait of her high school experience, that I’d be more than interested in reading a full novel of this nature. Horror or not. Gillies has a cool understanding of the challenges that children face, and he brings the angst to life on page. It’s rather beautiful. I was a little leery heading into The Electric Coma. I had no idea what to expect, and the idea proposed on the back of the novel really didn’t set me entirely at ease. The breakdown read as a book that could be absolutely amazing, or a complete dud. This was no dud. Matt’s debut ranks as one of the greatest novels I’ve read this calendar year. Make sure you order this beast right here. I’m a little late on replying, but thank you so much for the review. This has certainly been an honour to receive such positive review. Vitina, I hope you enjoy the novel. Feel free to let me know what you think of it.